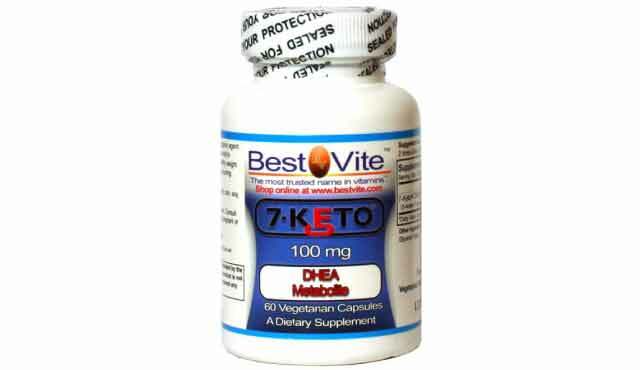 Best Vite 7-Keto Dhea makes it easy to purchase 7-keto at an affordable price with a good amount of capsules per container. Will provide increased energy, mental focus, weight loss, fat burning, and exercise performance benefits. In terms of brands, Best Vite is not that well known in the supplement industry. 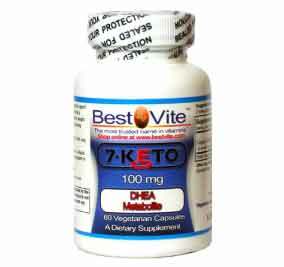 However they do offer one of the most affordable 7-keto supplements on the market. For 60 servings you’re only going to have to pay just about $15, which is the cheapest we’ve seen. If you’re looking to try 7-keto for cheap and are on a budget this may be the product for you. Athletes who have a bit more cash on hand would be advised to check out more credible and well known brands.